For over 30 years, Dream Builders of Lebanon Valley has been helping families create their dream homes! We value creative and custom projects that fit each family and individual's lifestyle. From foundation to roofing and everything in between, we do whatever we can to ensure beautiful living spaces and happy customers! We look forward to earning your business! Family owned and operated since 1993, we specialize in combining superior service with unparalleled quality to complete the kitchen or bath of your dreams! 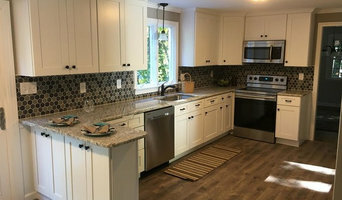 We will transform your outdated, hard-to-clean kitchen by either replacing your current cabinets with custom ones, or by refacing them with our own customized finishes at a cost saving alternative. We also help you select the perfect colors and style that complement your home. Choose from hundreds of stylish kitchen remodeling combinations, including a complete selection of solid wood, thermofoil or exquisite laminates ranging from traditional to contemporary and everything in between. 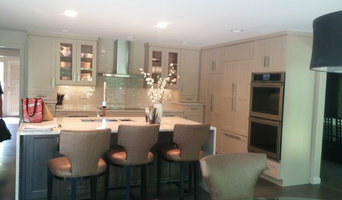 We match your existing cabinets or decor because we finish our own! It is as easy as 1-2-3-4. Local family owned business serving Connecticut Over 30 years for experience as the founder and owner, Dave believes in his work habits & abilities to provide his customers nothing but the best, from his high-end knowledge and the love to his profession. As he started building his company making sure each of his clients are satisfied with any project he performed at the home, building his name and reputation and as is he created a circle of returning customers to use his high-end work and his reliable services. Your Home is the largest investment you make in life. But it's also the place that you live. At ProHome we never lose site of these facts. 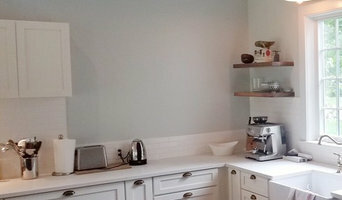 We specialize in Kitchen, Bathroom, and Basement Remodeling in CT. We are also the #1 IKEA Kitchen Referral Partner in the state, having completed 3000+ Home Improvement Projects in the past decade, we're the name you can trust when you're ready to remodel. 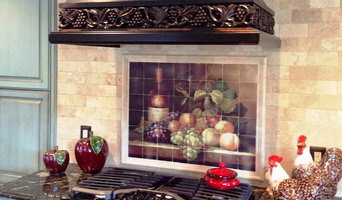 Heartwood Cabinet Refacing, LLC has been family owned and operated since 1994. Since 1979, Bradshaw Construction has provided the Fairfield County region with well designed, finely constructed living solutions to fit your specific needs. As a fully insured company, Bradshaw Construction specializes in everything from fine carpentry to remodeling and new home construction. We pride ourselves in our dedication to service, quality and exceeding homeowner expectations. We’ve learned that in this craft and industry, it’s really about building relationships, not just portfolios. We look forward to working with you to explore your home solutions. Contact us anytime with questions or to schedule an estimate. We are a finish interiors contracting company. Serving central Connecticut for over twenty years, we provide a broad range of home improvement services. From custom kitchens and baths, to interior trim packages and custom built-ins, A. C. Carpentry can design, build, and install to your needs. Whether homeowner or builder/developer, our eye for design and attention to detail provides you with an exceptional end result. I offer complete kitchen & bathroom renovation including all plumbing & electrical considerations, water damage repair, mold remediation, & all interior finishes. I have been in this business for many years and have a long proven trail of satisfied customers. I only take on one project at a time and your project is completed with a perfectionists attitude. I have worked with my plumbing and electrical contractors for over fifteen years and they are great guys as well as being top notch craftsmen and easy to schedule. Cedarwood Construction, Inc. has served Fairfield County and surrounding communities for over 25 years. Our company specializes in interior and exterior remodeling, renovations, additions, and custom homes. We are on-site throughout the project to insure quality workmanship, attention to detail and complete satisfaction for every client. Our company prides itself on repeat business and referrals. Craftsman Remodeling and Carpentry LLC is a General Contractor in Guilford, CT. Owner, Jason Fulton, does 90% of the work on projects. I have an eye for detail and the conscience to do right by my customers. I assist customers with a variety of remodeling projects & custom carpentry. Ranging from custom storage solutions for mudrooms and closets to eloquent kitchen and bathroom make-overs. Framing, cabinets, handyman and general contractor services. At Dan Pellerin Contractors, we focus on reliability, great communication, integrity and quality work. We are experts in our trade and will do our best to keep you as educated as we can on your particular task or project. 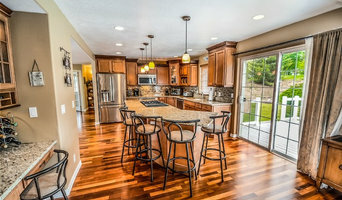 We can tackle your small remodel or major redo! We look forward to earning your business!